Classic yellow buses with stop arms out will mark the beginning of another school year. But more and more drivers in eastern North Carolina are ignoring the most basic of safety rules. So now, school districts in Pitt, Martin, Nash, and New Hanover counties are taking measures into their own hands, literally. Sarah Finch has more. You may have heard of the new hand signaling being required throughout the state but there are other locally introduced measures being implemented to improve student safety. North Carolina Department of Public Instruction Transportation Services Section Chief Derek Graham says motorists blowing past stopped school buses has become a huge deadly issue. Over the years, the department has accumulated reams of data regarding illegal actions concerning school buses and student safety. 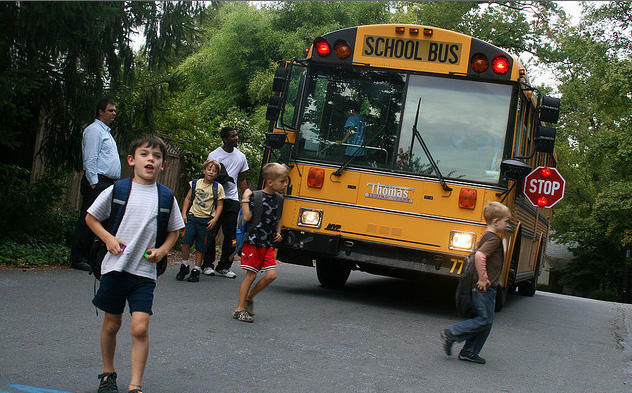 Most incidents involve young students suffering injuries from passing motorists. In April of 2013, a 7-year-old girl was hit by a truck after getting off a school bus in Sampson County. And a hit-and-run in Wilson County last October wounded a 10-year-old boy and his 5-year-old sister. That was the third incident in the school district in two weeks. The most common cause of this type of fatality is drivers passing an obviously stopped school bus. Even so, it happens everyday. The fines for doing so range from 500 dollars plus 5 points on a driver’s license, up to a Class 1 felony conviction if they strike any person regardless of bodily injury. Most people do know it’s illegal, but in many cases the culprit is inattention. Erick Edwards has been steering buses for over sixteen years in Pitt County and has noticed a consistent element in these dangerous situations. “I think their biggest thing is they are distracted, whether it be on their phone, they might be reaching for something, they might be changing the radio. As the Lead Driver for Pitt County’s Exceptional Children’s Transportation Department, Edwards operates one of 18 unique school buses for handicapped students. This special fleet also runs outside of the regular 180 day school term. While observing traffic year-round, he has seen all sorts of cases. As part of a new safety initiative, a handful of counties were selected to participate in a pilot program for extended school bus stop-arms. Martin, Nash, New Hanover and Pitt County school buses will now be testing the new equipment in Eastern North Carolina. 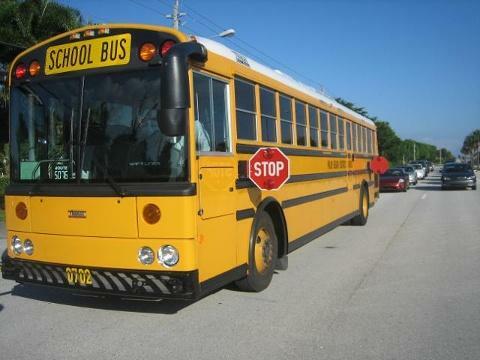 The extended stop arm is mounted on the driver’s side of the school-bus, and is activated along with the existing stop signs when the school-bus comes to a halt. The 6 foot arm swings open from the bus, blocking traffic in the next lane. A standard red stop sign with alternating flashing lights is attached to the end of the extended arm. It’s an attention-getter, but also a physical barricade for motorists in the opposite lane. The new 9 hundred 50 dollar extended stop arms also have a security feature allowing it to break away from the bus if hit. D.P.I’s Graham says the idea of the new polices and equipment is to change behavior. “We can do all the education, and enforcement, and lights, and equipment, but it’s not going to just stop at the snap of a finger." Beyond distracted drivers, preoccupied students are often surveying their phones, wearing ear-buds or engrossed with friends. Many times it’s the bus drivers that are paying the most attention. 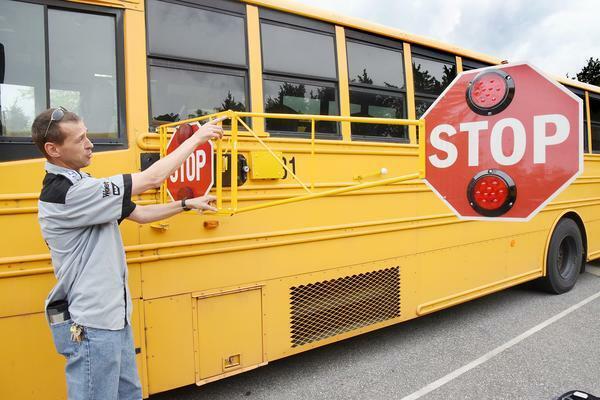 So in a State-wide initiative, North Carolina has issued a short set of bus driver hand-signals to increase student awareness. At a school bus stop, the driver holds their left hand up, palm open to prevent students from crossing. When traffic clears, the bus driver gives a thumbs-up to the kids, pointing in which direction they should board the bus. But will students pay attention? Experienced bus driver Erick Edwards says it may help. What it comes down to is common sense. Students are responsible for their own safety. But DPI’s Weathington believes these new hand-signals should cut down on the number of injuries and fatalities. He says Pitt County is getting a head start on using the new hand signals as they gear up for the 2015-2016 school year. Washington County rolled out the new hand signals last school year. Their policy was met with receptivity from students, but a measurable impact on bus passenger safety as not been determined. If all else fails, there is some recourse in knowing an offender will be caught as exterior school bus cameras become the norm. In the past two years, every county in the state received four high resolution cameras mounted outside the bus. They continuously record, capturing stop arm violations. D.P.I.’s Graham says video and still images are provided to the District Attorney’s office. As D.P.I. 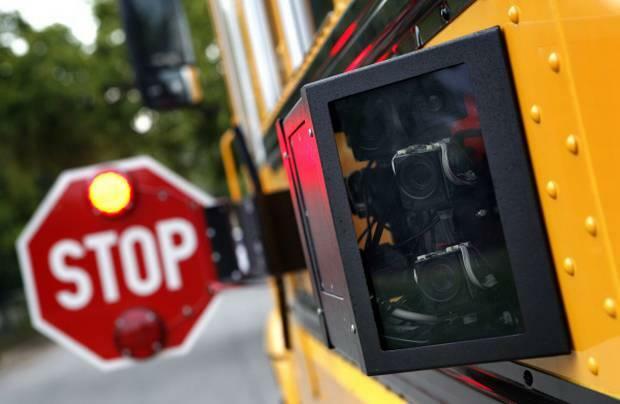 gets the word out about exterior cameras, new stop arms and hand signal policies - it is important to know the only situation in which you can pass a stopped bus – is when you’re driving on a divided highway and the school bus is traveling in the opposite direction. And even then, you should always err on the side of caution, slowing down around stopped school buses and watching out for children.